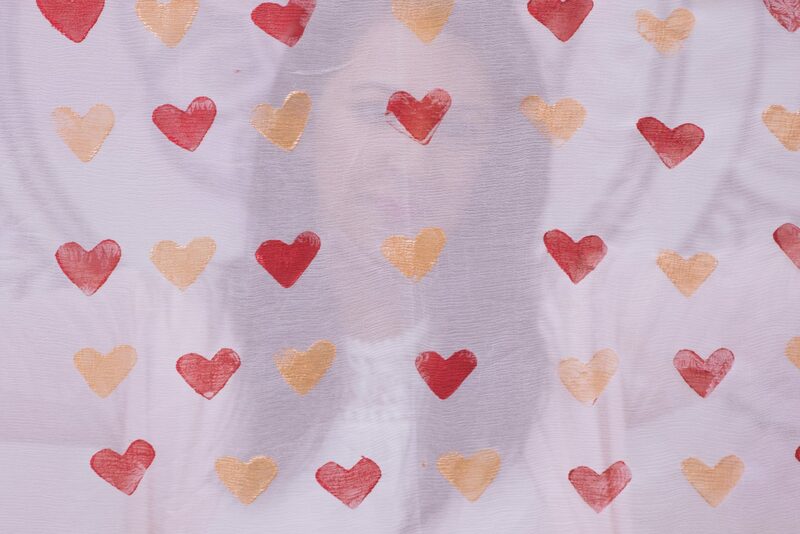 With Valentine’s Day around the corner, I’ve been feeling the itch to do a heart inspired DIY. 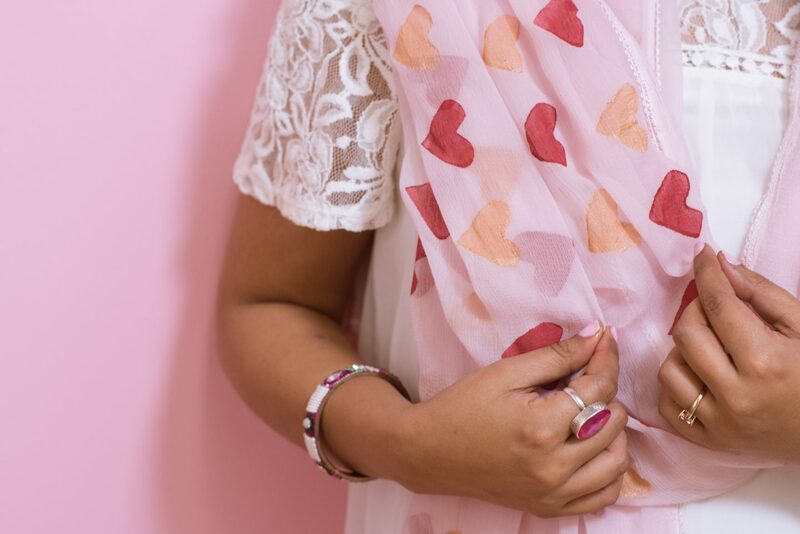 Since I love pairing dupattas as scarves with my outfits, a potato print project was perfect. 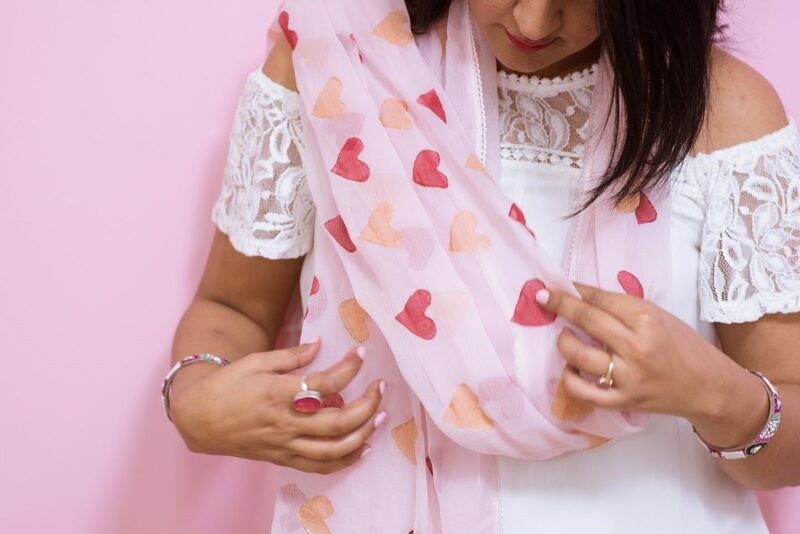 This heart print dupatta originally belonged to my husband’s grandmother. 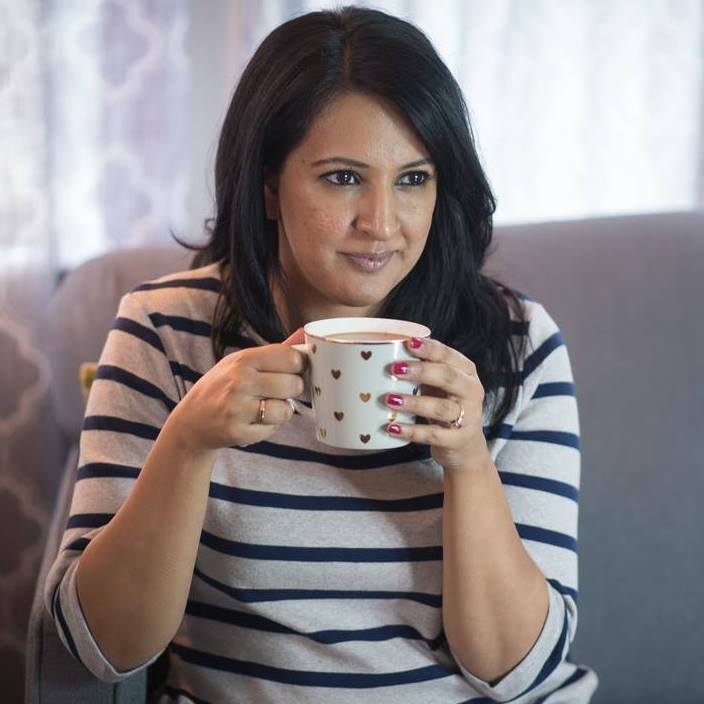 Like her other dupatta that I updated with pom poms, I’d been saving this one until the inspiration for a project hit. This is a super easy DIY that you can do with your kids. I also think it would make a really fun Galentines gift! Potato printing is pretty straightforward, but do read my notes before you start to make the whole process a bit smoother. 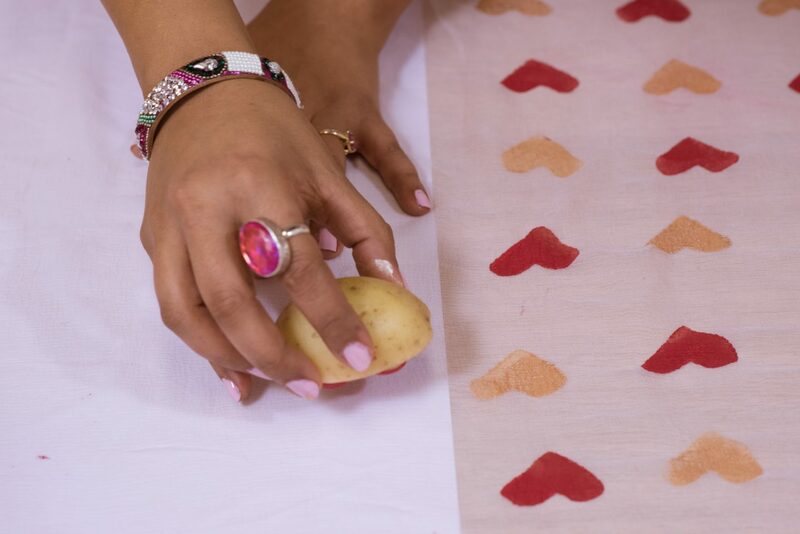 Use a paper towel to dry your potato before you start stamping. A dry potato produces more even shapes. 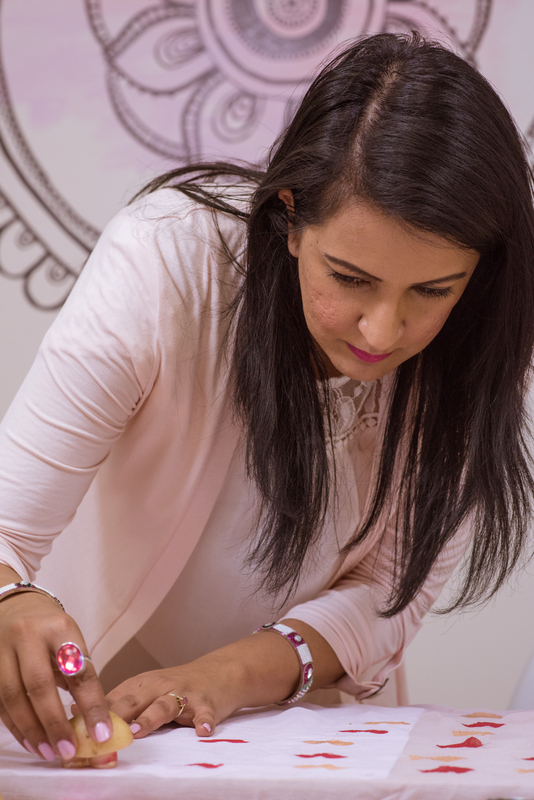 Put something under your dupatta if it is thin to catch the paint that will seep through. I used plain white paper. You can use fabric paint or add textile medium to acrylic paints for this project. I went with the second option because I had those items at home. Fabric or dupatta for stamping. 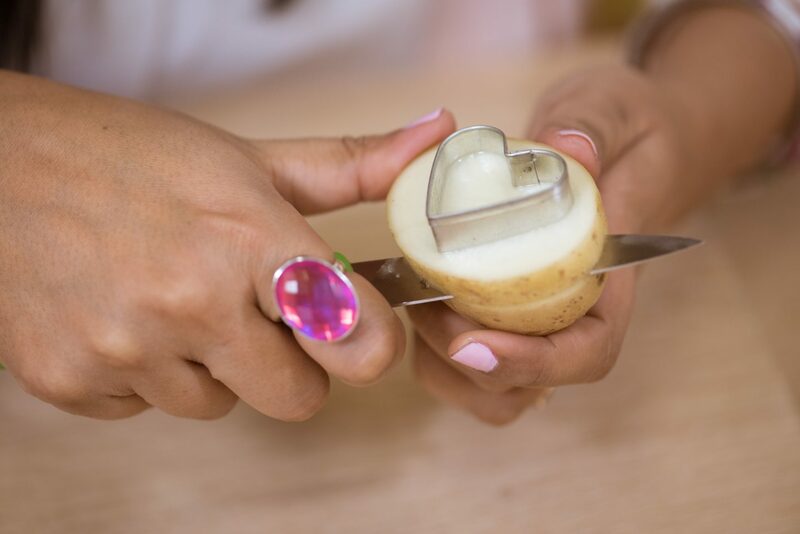 Cut the potato in half and push the cookie cutter halfway through. 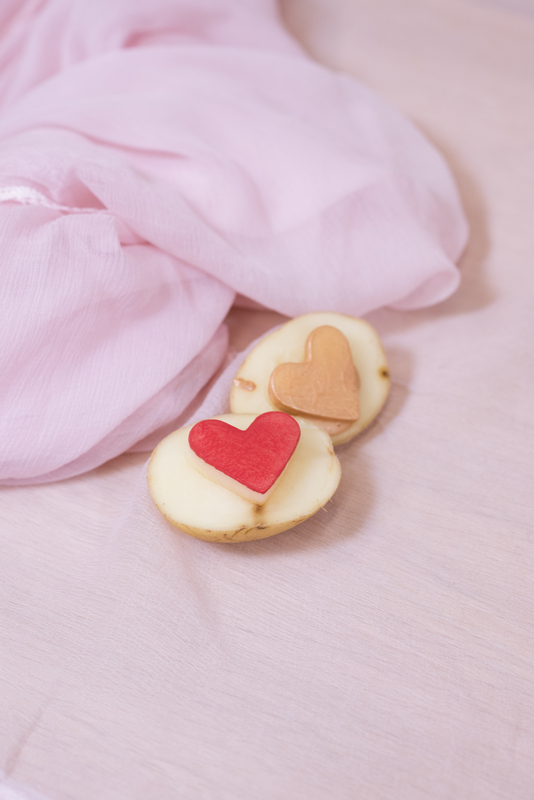 Cut some of the excess potato around the heart shape to create a stamp effect. Start stamping. You can do a pattern like I did, or use a random approach. Just remember to apply thin coats of paint and dab off the excess between stamps. 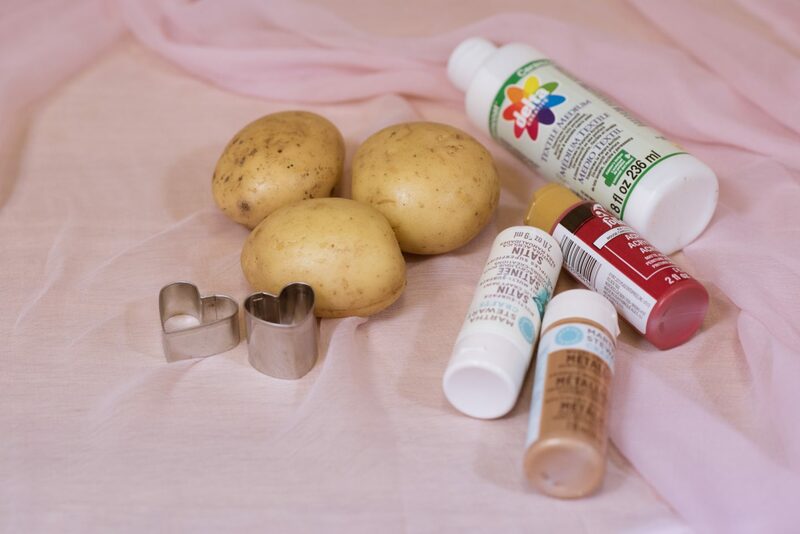 If you are doing a large project, you may have to change potatoes after a while to keep things neat. Style and enjoy! Just remember to follow the washing directions on the paint that you use. WOW! This turned out gorgeous! 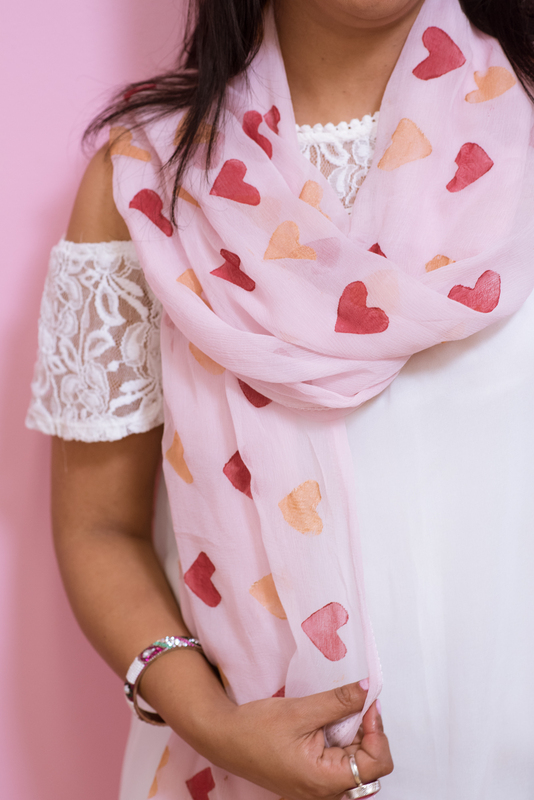 I am a huge sucker for hearts and pinks, they just speak to me! I am seriously so impressed that you made this and that you used a potato print. Amazing! Thanks Andrea! I love hearts too, such a universally appealing print. Kind of wish I had done one for a teacher gift. Seriously too cute. I would never have thought to make and stamp a scarf like that. I love it. I saw this on IG and loved it! What an awesome idea to use potatoes! Oh goodness me, this is incredible! I think Im going to potato stamp with my girls this weekend. WHAT A FUN IDEA! I am so stealing this idea for Vday! hey, Thanks for sharing this creativity with us. I love this idea. Definitely want to try this. Keep Updating.